Mitsubishi has finally launched the all-new Outlander SUV in India. The new SUV has been priced at Rs 31.54 lakh, ex-showroom Mumbai. It may be noted here that the company first revealed its plans of launching the new SUV in India back in August last year. Almost a year later, the latest-gen Outlander has finally arrived on our shores. The latest-gen Outlander is already six years old. It had received a facelift in 2015. The new Mitsubishi Outlander is available only in one, fully-loaded trim. The India-spec Outlander offers seven seats and various premium features, such as LED head lamps with LED DRL, LED fog lamps, heated mirrors, 16-inch alloy wheels, LED rear combination lamps, leather seats, leather gearshift knob, electronic parking brake, 6.1-inch central display and a powerful Rockford Fosgate music system with two tweeters, four speakers, one woofer and a 710-watt amplifier. The list of safety features includes seven airbags, ABS with EBD, BA, ASC and HSA. As we said, the SUV is available only in one, fully-loaded trim. Hence, all these features are a part of the standard equipment that the SUV offers. Powering the India-spec new Mitsubishi Outlander is a 2.4-litre MIVEC petrol engine that outputs 167 PS at 6,000 RPM and 222 Nm at 4,100 RPM. The engine comes mated to a six-step CVT and even has a 4WD system. 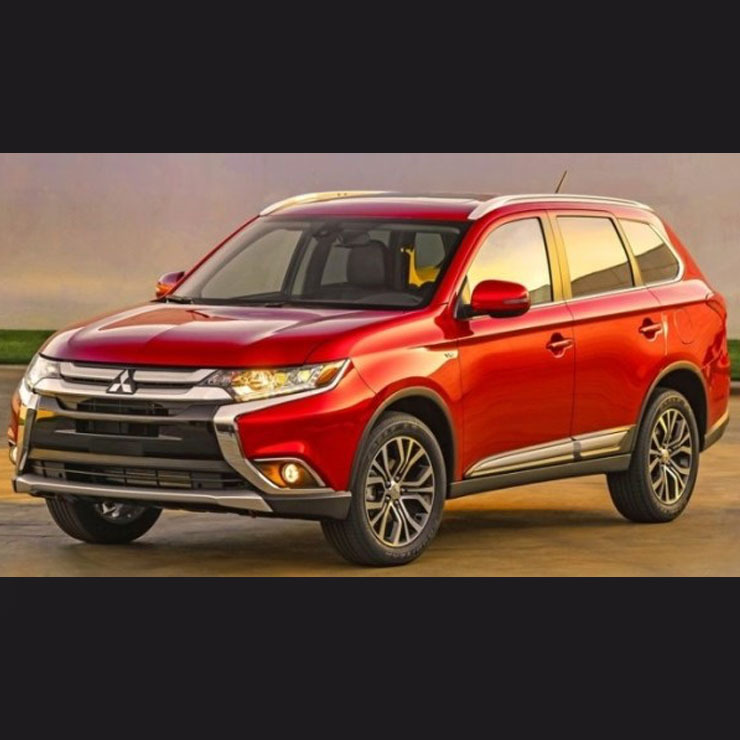 The new Mitsubishi Outlander is 4,695-mm long, 1,810-mm wide, and 1,710-mm tall. It offers a wheelbase of 2,670 mm and a ground clearance of 190 mm. The Outlander comes to us via the CBU route. The last-gen Outlander was discontinued in India owing to really low sales, which, in turn, were a result of the lack of a diesel engine option. Even this time around, the Outlander won’t have a diesel heart. However, petrol-powered cars are slowly but surely coming back into fashion and this might work in the new Outlander’s favour.